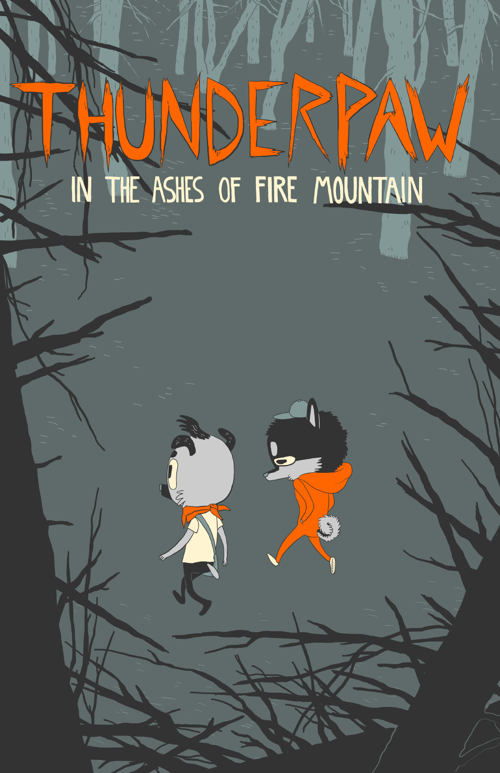 Here’s presenting three webcomics that are sure to win your heart with a woof! Created by American cartoonist Patrick McDonnell and first published in 1994, this animal-friendly comic features the adventures of an adorable mutt called Earl and his unlikely friendship with a neighbourhood cat – Mooch. Unlike most depictions of dogs in popular culture, Earl here is quite unconcerned about humans as long as his food bowl isn’t empty! As Mooch and Earl explore a wonderful friendship – breaking yet another myth about cats and dogs hating each other, we are introduced a wonderful world of characters. We get to know their owners, their vet, a pet psychic a butcher and a host of other animal loving humans. But that does not mean that we aren’t introduced to more adorable animals. Starting with rescue kittens and ending with a misanthropic crab, we are exposed to a fair share of birds, sea creatures, worms and even a talking face on the moon! 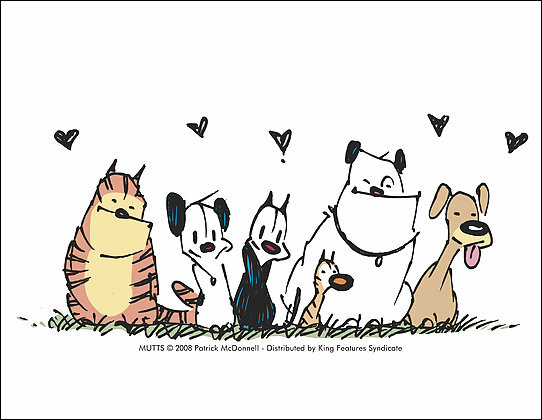 Hailed by Peanuts creator Charles Schulz as “one of the best comics of all time”, it is not surprising to realise that McDonnell’s Mutts has been published in 22 publications till date! A webcomic that truly satiates the soul of the internet geek, Jen Lee’s animated work explores the world of multimedia by incorporating GIFs, horizontal and vertical scrolling and of course, some wonderful art. The story of two souls, Ollie and Bruno, though this comic introduces us to two anthropomorphic dogs, with the progression of the narrative we realise that their understanding of the ‘real world’ is rather limited. We realise that though they realise that their companions the humans are gone, they fail to understand what happened to them or even why fire is raining from the skies, paving the way for a heartbreaking ‘end of the world’. Surreal, psychedelic and a delightful read, this 3 year old webcomic also explores supernatural themes and ideas that discover various states the dogs’ minds can be in. Hailing from Idaho, Lee is the proud owner of two dogs, two cats and is undoubtedly an animal lover. And amazingly, her webcomic has been supported by its readers on the online community Patreon that allows fans to fund their favourite artists! Created by Seattle-based award-winning cartoonist and illustrator Dana Simpson, Raine Dog is a story of a rescue dog with startling human-like features like the ability to talk in English, read the language and even walk on two legs! Christened Princess after being adopted from a shelter, this blue female dog gradually comes of age when she realises that humans essentially treat pets as expendables and the fact that dogs are considered to be soulless creatures. After embarking on a number of philosophical debates, Raine Dog suddenly indulges in a sexual kiss with her owner, Young Jeff, an underage boy that leads to her then family neutering her, stating that there was a price to be paid for her first kiss – albeit a high one. After propelling into controversy surrounding this particular strip, Simpson goes to explain that in this particular world, animals are as intelligent as humans and how neutering actually brings about behavioural changes that led their relationship to fizzle out. After being handed over to an indifferent family next, Raine Dog embarks on a journey as she finally reaches adulthood. A wonderful journey that is littered by humans, animals, emotions as well rebellion in the form of Raine trying to warn farm animals about their impending doom as someone’s meal. Wonderfully drawn, the abrupt halt of this comic in 2011 broke hearts across the world. 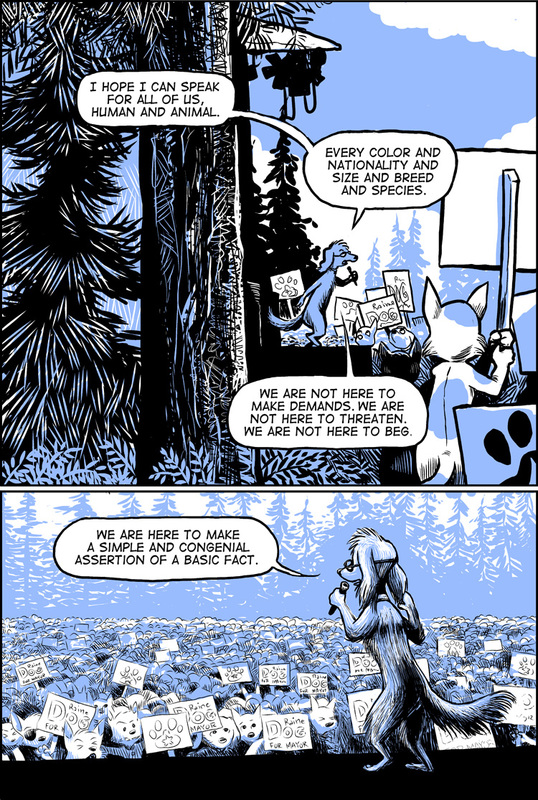 But then again, in the world of webcomics, very few creators see their ideas to the end.